My husband has made it clear that he doesn't like roses. Oh, when they're in bloom, he'll comment about how beautiful they are and "don't they smell nice?" But apparently, that's not enough to make him like them. I asked him just what it was that he disliked so much. "They've got nasty thorns." Well, I'll give him that. But for me, roses are worth the thorns. 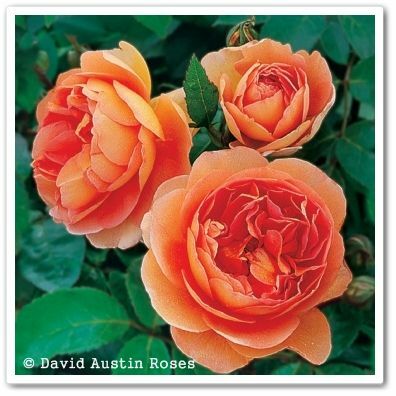 About five years ago, Jackson & Perkins had a deal on David Austin English roses - five of their choosing for some ridiculously fabulous price. My mom had schooled me on these special roses and I decided I must have some of them. 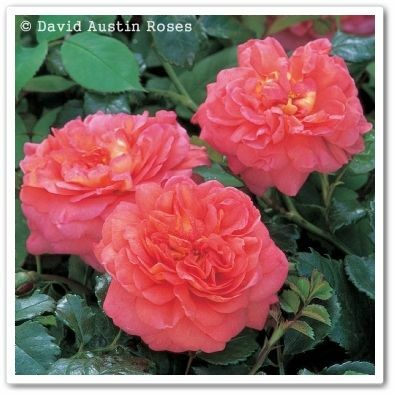 So that summer, I planted 'Golden Celebration', 'Falstaff', 'Glamis Castle', 'Crown Princess Margareta', 'Jubilee Celebration', and 'Abraham Darby'. That's six, because J&P threw in 'Falstaff' for free. Just what's so special about English roses? 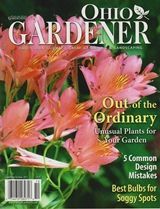 They are the work of David CH Austin, a British rose breeder, who began hybridizing roses over 50 years ago, combining the form and scents of old roses with the repeat blooming of newer varieties. 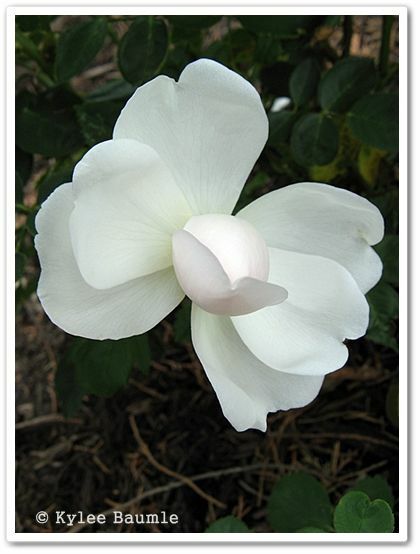 In my own garden, I've found them to generally be more resistant to common rose problems such as black spot too, although they make no claim as such. which will take you to the David Austin site. 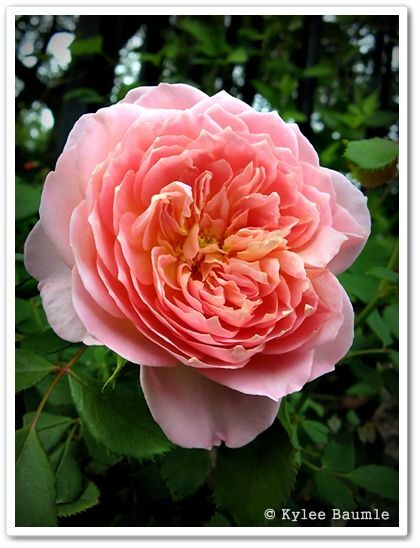 I've loved my English roses, even though 'Abraham Darby' went to live in that great garden in the sky a few years ago. It didn't die; I just didn't like its weak stems. I don't know if that's characteristic of that one, but mine drove me crazy when it bloomed and the flowers pointed groundward. They were beautiful flowers too, but for me, that one just didn't work. I've been more than pleased with several of the others though. 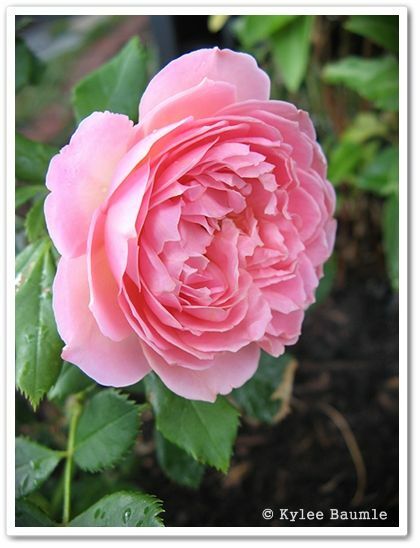 'Glamis Castle' is especially lovely. 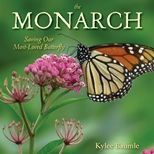 It's extremely floriferous and sometimes the blooms resemble butterflies as they're opening. 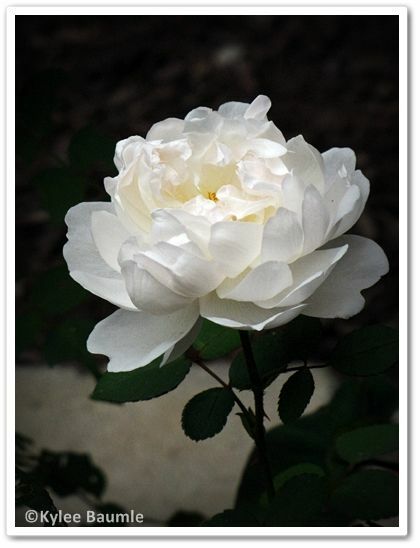 A pure white rose is a breathtaking thing of beauty. 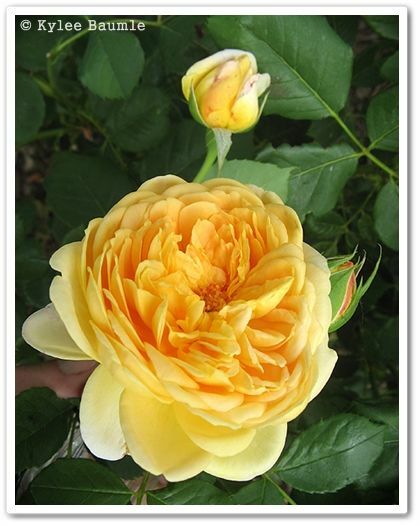 Both 'Golden Celebration' and 'Crown Princess Margareta' are also heavy bloomers and are the most gorgeous shades of golden yellow and apricot, respectively. 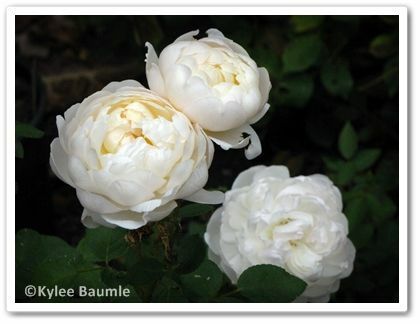 Last week, the folks at David Austin Roses sent me four new English roses to trial in my garden. That means they were free. I was beyond thrilled when that box came. I squealed like a little girl when I opened the box and there wasn't even anyone around to hear me. If you're paying attention, you will notice that they sent 'Jubilee Celebration' and I already have that one. That's my fault. They asked me which ones I'd like to try and for some silly reason, I put that one down as one I would like. Well, I guess I really and truly like it, don't I? I kept thinking the one I had was something else, until I checked the tag yesterday. 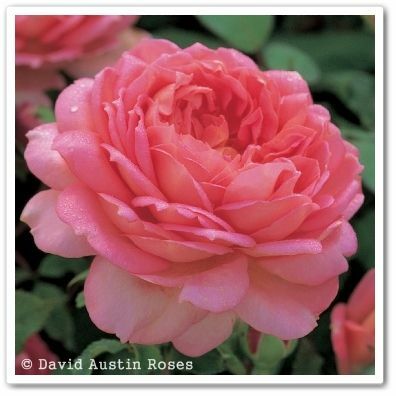 For more information about David Austin English roses, visit their website. Though I was sent four roses free of charge, there was no requirement of me by David Austin Roses to write about or promote their product in any way. 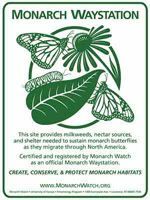 They only asked that I try their two new varieties, 'Skylark' and 'Princess Anne' in my Zone 5 garden and report back to them on how they do. I wrote about them here because I love these roses. It is not that roses have thorns, but that thorn bushes have roses! what beautiful roses. I love them, too, only haven't taken the time to learn how to care for them (tea rose types) properly. Thus, I stick with the hard-to-kill and prolific Knock-Out Rose. :) Very nice photography. I love David Austin roses. 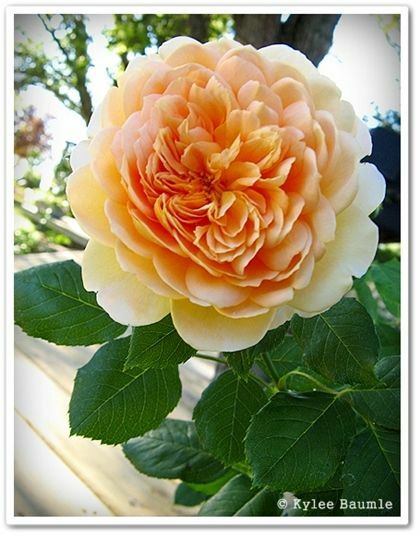 So much easier to grow and care for than tea roses. Heritage is almost thorn-free if you are not a fan of thorns! Thanks for sharing...It's National Rose Month!!! Wow - these are fantastic - and your husband must like them to have so many. Thanks for sharing. I now feel a longing for Glamis Castle. 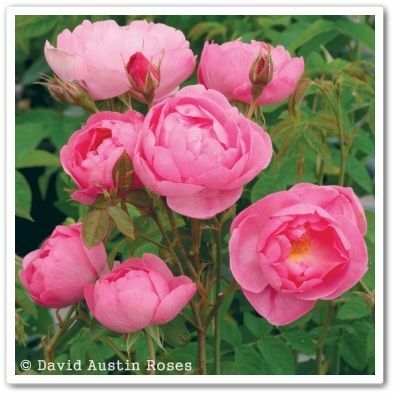 I share your love of David Austin's and also have Falstaff and Crown Princess Maguerita - but after that we differ. I have Tess of the D'Urbevilles and Darcy Bussell, but also my favourite Graham Thomas which is a must have in my book. I'm feeling very cross now cos I have some others and have forgotten the names - how silly. 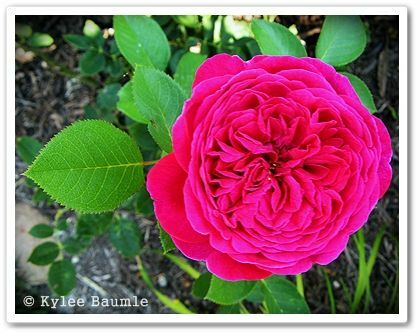 Hi Kylee, Lucky you to get such pretty roses to trial! I would have squealed with pleasure to open such a box too. They are all pretty, and I especially like Princess Anne. 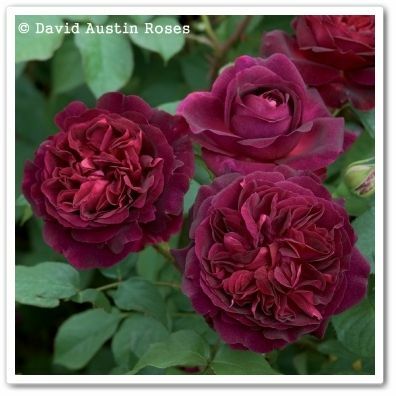 I have mixed success with Austin roses and so will be interested to read how your new roses fair. Oh wow is that Munstead Wood gorgeous or what?!?! I've only got one David Austin... an Abraham Darby I adopted when my condo-dwelling mom decided it needed a home outside of a pot. Mine also has the wimpy stems so yours wasn't an anomaly. I let mine grow co-mingled with a hydrangea and some grass that I can't get rid of and that gives the stems some oomph. The color of those blooms is so gorgeous I'll put up with the weak stems. Just scrumptious! I've got to try some Austins in my garden. That Glamis Castle is so elegant. Love your roses! 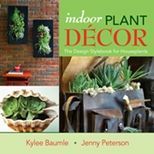 Can you write a post about soil preparation and how you care for your "beauties"? I'd love it if you'd share your secret! I have been around for a although now, i think about myself a loyal reader. Just thought i would let you know! Lea ~ I have heard that! That's how I think of them, too. Thank for your always-cheerful comments, Lea! The Coal Miner and Me ~ Thank you! Yes, Knock-Outs are fabulous roses! I have just one - a pink one that I got a couple of years ago. Laura C ~ I'll have to check on 'Heritage'! 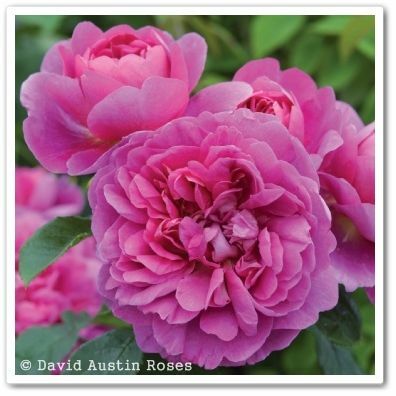 And yes, I've found David Austin roses quite easy. The Redneck Rosarian ~ Hi, Chris! Oh yes, that 'Benjamin Britten' is a star! They were out of that one, or I might have chosen it. Happy Rose Month! Sarah Wooller ~ Believe it or not, I'm not a rose fanatic. I love what I have, but wouldn't say they're my absolute favorite flowers. However, David Austin roses seem to be the easiest (except maybe for the Knock-Outs) in what I'd call exotic roses and I love that they're fragrant. I've heard before that 'Graham Thomas' is exceptional. Jennifer ~ I'm anxious to see how the new ones do. I've sited them in the best possible locations, unlike a few of my other ones, which get too much shade I think. spurge ~ Yes, 'Glamis Castle' is really an exceptional rose. Mine has gotten quite tall this spring. Karen ~ There's no secret, Karen! 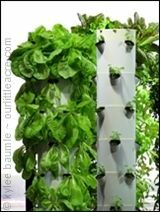 I just add in some compost when I plant, because we have such heavy clay soil. 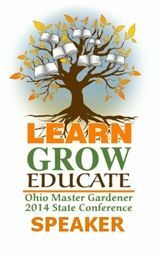 I use an organic rose fertilizer (Jobe's) when I plant them, and when they start to leaf out in the spring. I try to remember to fertilize them throughout the season, but I'm afraid that almost never happens. I guess my garden is a good test garden, because I don't treat them any differently than any other plant, except for the fertilizer in the spring. Agatha Ariola Zabeeh ~ Congratulations on your first bloom! Enjoy your roses!